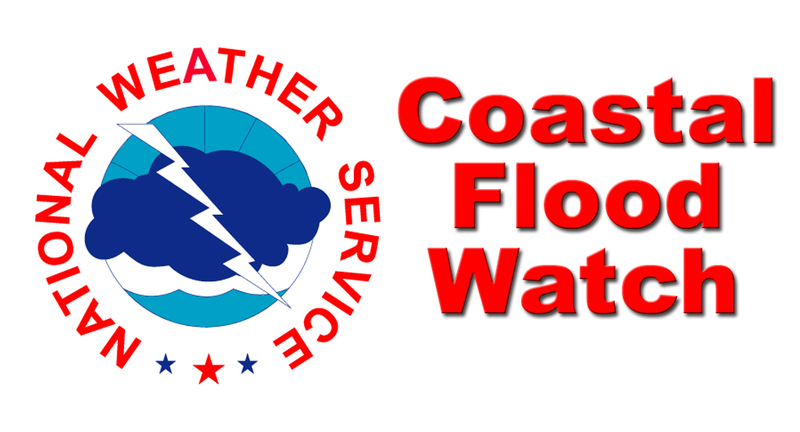 The National Weather Service (NWS) has issued a Coastal Flood Watch for the entire south coast of Rhode Island and Massachusetts. This watch is being announced due to projected high winds along astronomical high tides which are likely to cause significant storm surges. Widespread minor coastal flooding is expected with isolated pockets of moderate along Narragansett Bay RI and the ocean exposed shoreline of Newport. Even with high tide around 9 pm tonight and a roughly 1.5 to 2.0 foot surge forecast, impacts may occur as early as 6 to 7 pm along vulnerable shore roads becoming inundated with water. Basement flooding of homes on low ground near the shore is possible as well. If you do encounter a flooded roadway do not proceed through it if at all possible. Turn around and seek an alternate route.